Darin Craig Martin arrived in this world on March 4, 1974, in El Dorado Springs, MO, to proud parents Darrell and Sue Martin. At the age of 38, he passed away at his home in Blue Springs, MO, on February 19, 2013. After graduating high school in 1992, he attended vocational school in Springfield, MO, working at Dillons grocery store. When he moved to Kansas City, he worked at the HyperMart in South Kansas City. In May, 2004, he married Phyllis Carter in Blue Springs Railroad Park, becoming the stepfather to three children: Chris, Shane and Jackie. 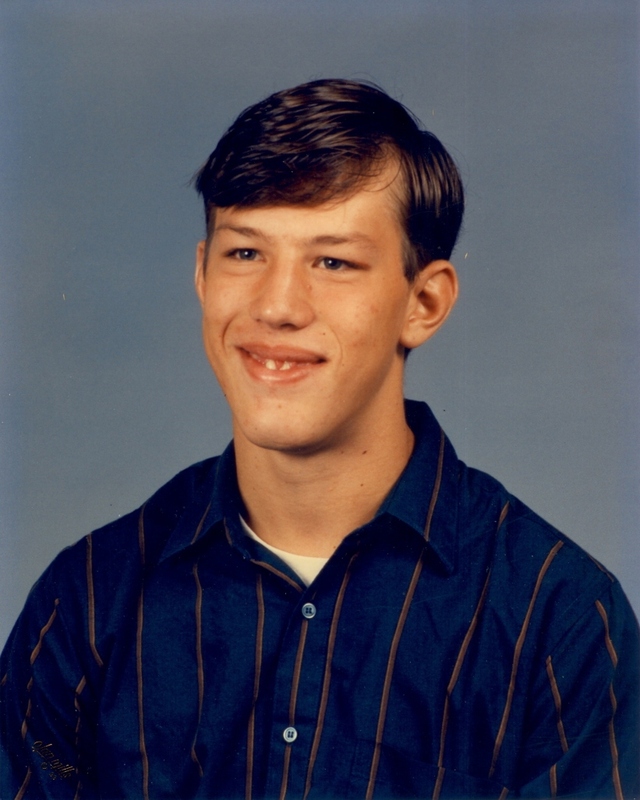 Darin was saved at a young age and had a personal relationship with Jesus Christ. He was born with Cerebral Palsy, resulting in numerous medical problems as a child, continuing into adulthood. He adjusted and overcame physical and speech obstacles into an energetic, kind hearted, loving person with an avid love of anything and everything about sports, especially football. He was loved as a son, brother, husband, and friends to many; his wit, humor, and love of sports will be missed by all he touched. His brother Cory remembers Darin as the class clown, his funny antics, with no enemies, and an infectious personality. He is survived by his wife Phyllis (separated five years) and her children: Chris, Shane, and Jackie; four-year-old granddaughter Rose; mother Sue Nalley; father Darrell Martin; brother Cory Martin; and niece Corina Martin, age six. By his request Darin was cremated and his ashes will be scattered off the coast of Miami, Florida. A memorial service for Darin Martin will be held on Sunday, March 10, 2013, at 1:30 p.m. at Bland-Hackleman Funeral Home with Rev. Brent Bland officiating. Arrangements are under the direction of Bland-Hackleman Funeral Home.